We, at Veggie Fest Chicago, are dedicated to providing you with some of the best vegan and vegetarian recipes from cuisines all over the world. Enjoy our growing collection of recipes from renowned chefs who just love food! 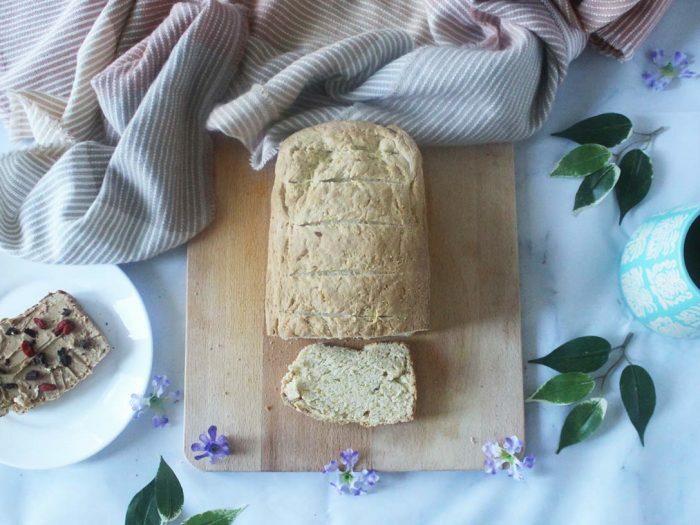 Anadama BreadBy Veggie Fest TeamThe traditional use of cornmeal with molasses makes this Early American bread a favorite. 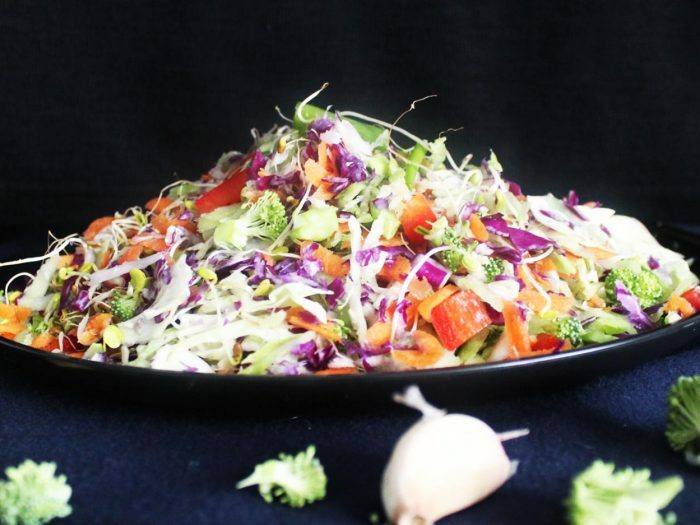 Asian Broccoli Super SlawBy Veggie Fest TeamThis slaw has a super tangy dressing and super-nutritious fresh veggies (plus peanut butter!). You might want to go easy on the garlic and ginger, starting with a little less and tasting as you add more. Asparagus RarebitBy Veggie Fest TeamTender asparagus in a delightful sauce is served over crisp toast for a satisfying hot open-faced sandwich. 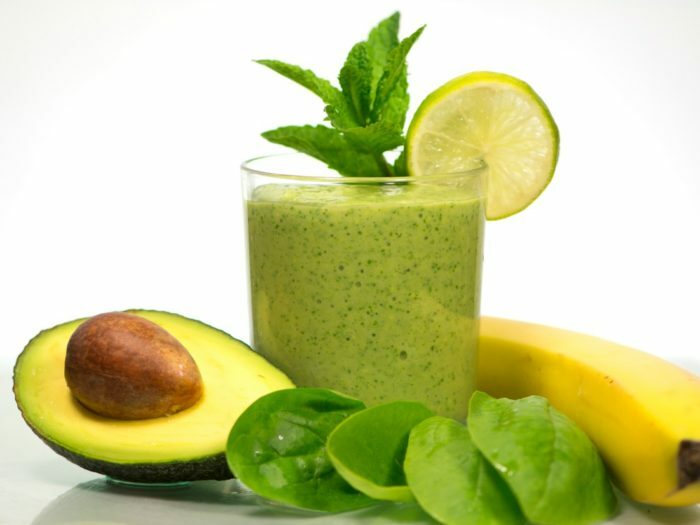 Avocado Banana SmoothieBy Veggie Fest TeamThis is not only satisfying, but it’s a smart way to use avocado. 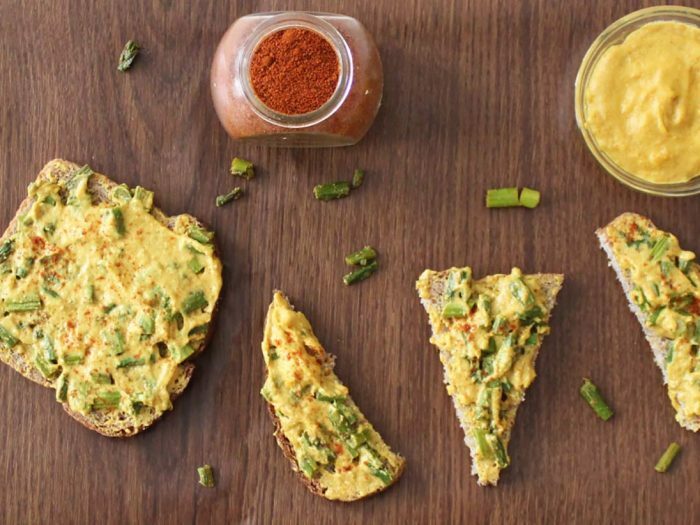 Great for breakfast, but you can enjoy it throughout the day! 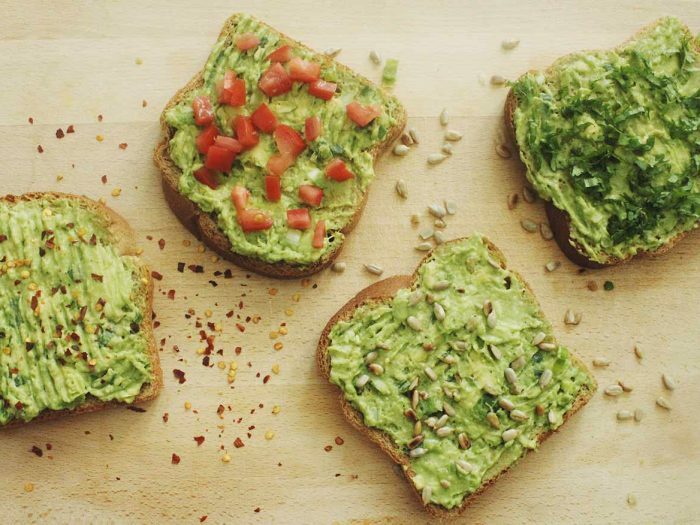 Avocado ToastBy Veggie Fest TeamVegetarians have enjoyed avocado on toast for decades, and now this open-faced sandwich is super trendy. Bursting with health benefits, this quick presentation is easy to make, and oh, so good! 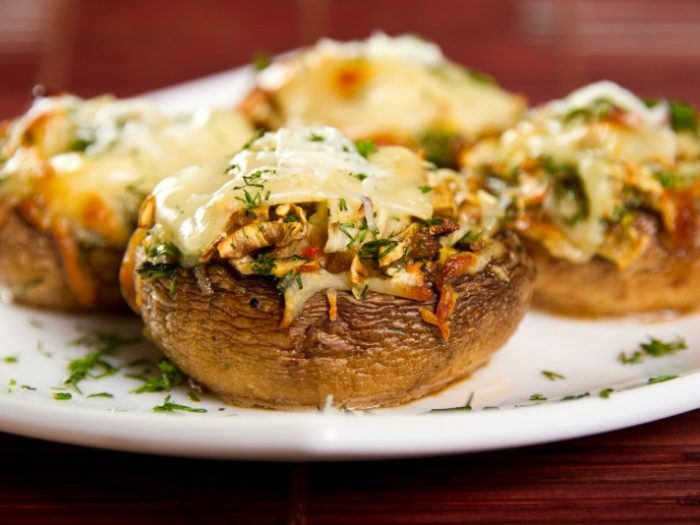 Baked Stuffed MushroomsBy Veggie Fest TeamGuests will love these sizzling-hot mushrooms mounded high with our savory filling. 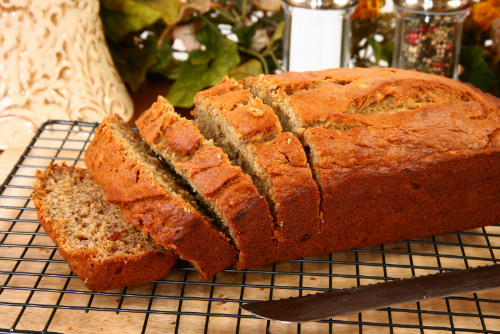 Banana BreadBy Veggie Fest TeamThe marvelous flavor of banana permeates this popular cake-like loaf. Spread with cream cheese, fruit butter, or nut butter for a teatime treat or to enjoy any time of the day. Barbecued Tofu StripsBy Veggie Fest TeamThe sweet and pungent sauce bakes deeply into the tofu strip, creating a delectable appetizer. 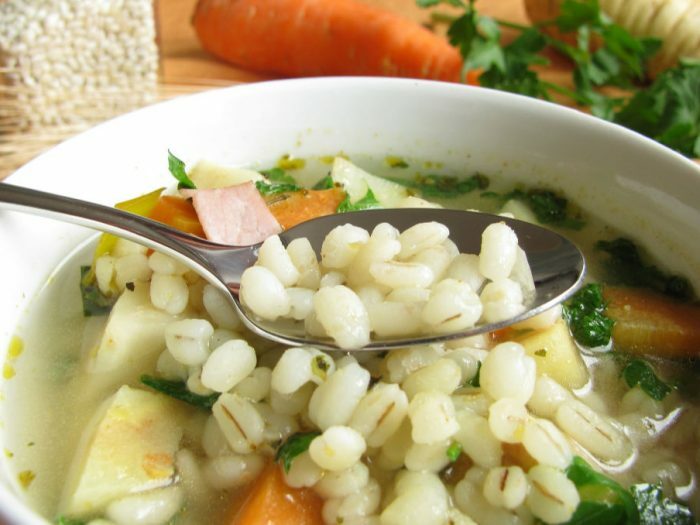 Barley and Veggie SoupBy Veggie Fest TeamA steaming bowlful of this wholesome, old-fashioned soup is always welcome. The addition of tofu, optional in this recipe, will pump up the amount of protein in each serving. Basic OmeletBy Veggie Fest TeamHere tofu is transformed into a remarkable eggless omelet. 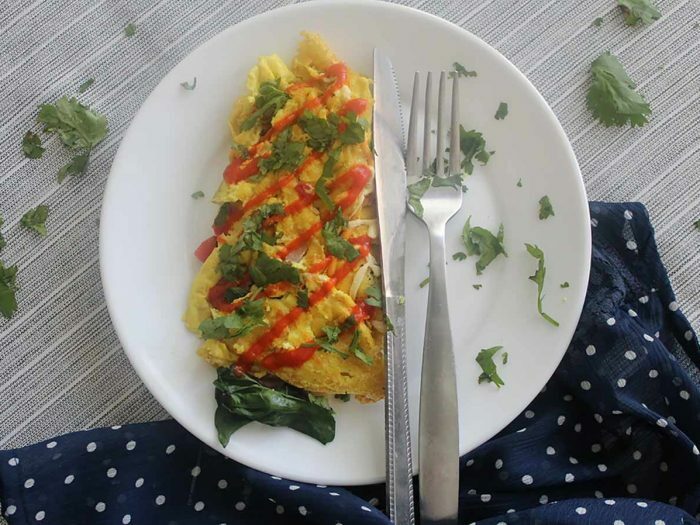 Low in cholesterol and easy to prepare, this omelet is delicious with any of our tasty fillings. 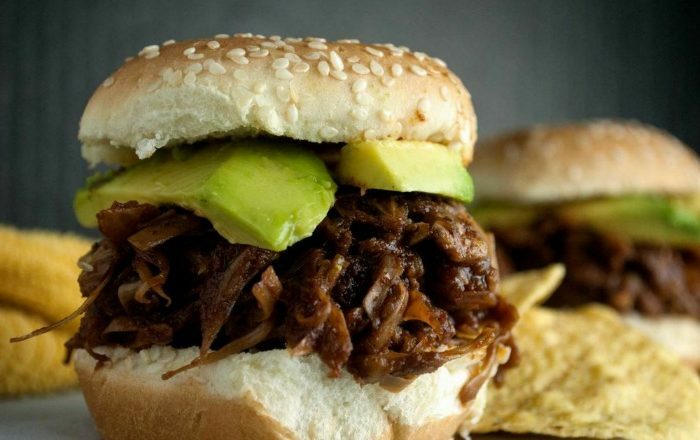 BBQ JackfruitBy Veggie Fest TeamFrom India to North America, jackfruit lends itself to countless variations. Here, vegan chef Acooba Scott offers a satisfying filling for a meal. Go as spicy or smoky as you like! Presented by Acooba Scott at Veggie Fest 2016. 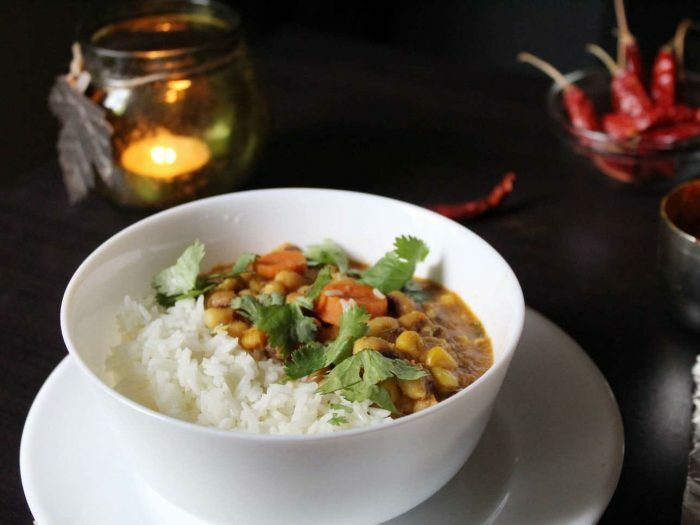 Black-Eyed PeasBy Veggie Fest TeamTarina Dhanani created this flavorful recipe that you can enjoy year-round. Black-eyed peas are considered good luck in the southern United States when eaten at New Year’s. 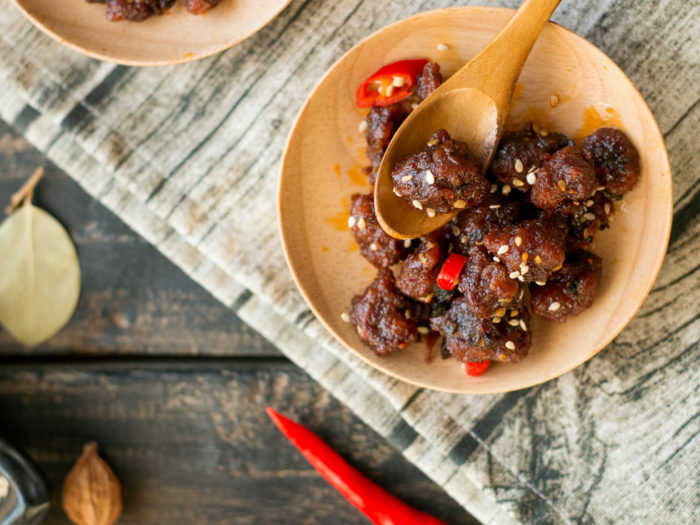 Certainly, this dish will bring you luck when shared with friends and family.